About | House by the water. 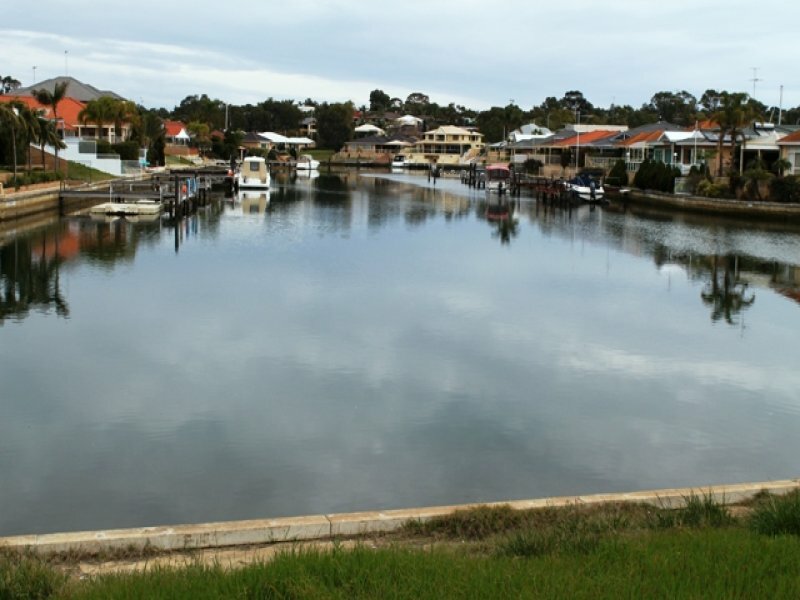 It all started with a blank block on a sunny Mandurah day – canal at rear, a quick walk to a waterfront park with a playground, a nice neighbourhood, and the rest of my happy life appeared before me. We would be happy to pitch a tent and settle in, but we think the neighbours might object. So here we go, building our first ever house! Well, paying someone else to build us a house. This blog is a record of the process from blank block to lounging on an outdoor chair (roof overhead), with glass of wine in hand, toasting our new home. Edit: Over time, this blog has accumulated a loyal band of followers, many of whom are also building. They are the caring, sharing type and often leave comments. Don’t forget to check out their tips by clicking on the “comments” speech bubble. This is found just underneath each post title at the top of each post. It can be tricky finding your way around a blog. There is a search function to help and my timeline page provides quick links to all the post related to our building progress. You can find both of these tools in the left sidebar. So exciting. That too is why I started my blog. We are building as well. I am looking forward to following your progress. Hi Johanne! Stumbled across your blog while googling “floor plans for canal houses” or something like that. What a find! We’ve only just purchased our Mandurah canal block so I’ll keep checking out your blog for design inspiration and to follow your progress. Our current house was designed before I was pregnant with our first, so of course we were blissfully ignorant as to what we would need. We now have 2 little pigs (so far) so it’s time for a change. I’m kind of obsessed with getting it right for our family this time around. Look forward to reading your posts, love what I’ve seen so far! Hi Julie. Nice to virtually meet you! Good luck. We purchased the block with very little clue what we were in for in terms of building, especially the costs! Don’t forget to read the comments section of each post. There is a lot of local information in there. Add your comments too. I love comparing notes. Let me know which plan you select. I wonder which canal area you are in…. Maybe we’ll be neighbours. Thanks Johanne! I hear you about costs. I have a rough idea what we are in for. We built our current house 3 years ago, and the next one needs to be bigger and flasher. But there’s a good chance the number in my head will get blown out once the design process gets under way and the wish list gets longer. Sadly I don’t think we will be neighbours 😦 From your photos I can pretty much guess where you are, and that’s where I really wanted to be too. We ended up buying in Mariners Cove which is lovely but not our ideal location. We’ve compromised to get a bigger block (room for the kids to play) and be able to spend more on the house. Pretty sure we’ll be over your way eventually though, haha already planning the next one! The local info you mentioned will be really useful, I’ll get onto it! I’d love to ask you some questions about your living room – what’s the best way to do that please? Oh how exciting! A new neighbour! Thanks for commenting on my blog. It’s great to be able to compare notes. Our outlook towards the canal is South West = afternoon sun getting in our living room areas. Not ideal but worth it for the view! I’ve forgotten our block size, 800 -ish. Must look it up again. Ours faces South to the canals and is around 800sqm too. Currently getting Webb Brown Neaves to do a contour survey so we can start making plans. I’m very excited but also nervous. Such a lovely area. Oh, WBN too? Definitely have to compare notes then! Will send you a PM. Any particular plan you are looking at? Do you have a blog Tracy? In case Tracy doesn’t see your question, she does not have a blog. At least, not yet! Hi Johanne, can you please email me as you have been nominated for the Amara Interior Blog Awards and I would like to send you all the details? I am so happy that I have stumbled across your blog via Pinterest and a desperate hunt for the perfect grey! I am building in San Remo, Mandurah and needed to give the builder our paint selection a week ago! I have spent days and a fair amount of money in the Solver shop in Mandurah. 2 million sample post later and I am still stuck! What colour did you decide on please pretty please?